Since I seriously started playing around with jersey, I’ve fallen in love with the fabric. It takes some hard practice to get to know the do’s and don’t, because it is a knitted fabric, not woven and therefore needs another way processing, but you can achieve the most beautiful results because of its texture, elasticity and the way the fabric drapes down. Ofcourse I’d made many t-shirts and dresses from tricot, but jersey is thicker and therefore also suitable for pants, skirts, suit jackets, coats and many other designs which you can’t make out of tricot. I made a fantastic suit for my friend out of grey jersey with knitted in stripes. It came out great and some of his friends asked where he bought it or if I can make them a suit like that too, but the fabric was a unique piece of cloth I couldn’t find anymore … Jersey like that is very expensive nowadays and hardly produced anymore. After the suit I started experimenting with other jersey fabrics. I made some classic pants and the result was sporty pants with a non-sporty cut and they’re heavenly to wear, because they’re stretchy. I’ve also boiled some jersey fabrics. You have to get an extra-large piece of cloth, because its shrinks about 30% to 50%. 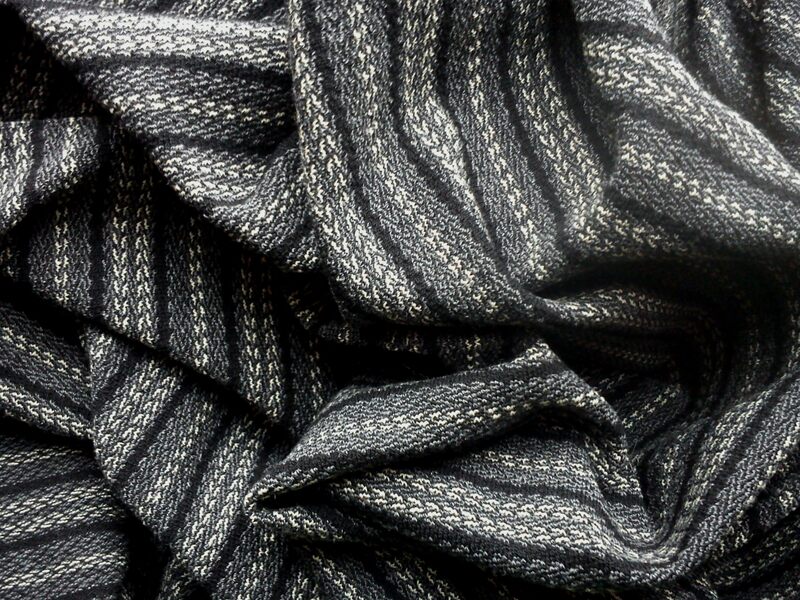 The boiled jersey is a lot rougher and great for a coat! 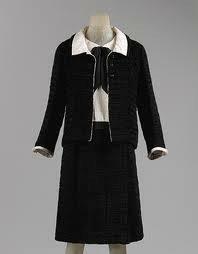 Coco Chanel was the first designer to use jersey for outerwear…! 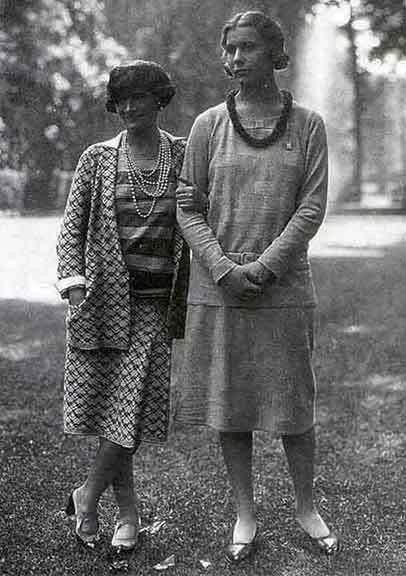 During the WWI Chanel left Paris and stayed in Deauville where she opened a new shop. Fabrics were getting hard to find, most were produced for soldiers uniforms. The luxury fabrics became rare. When Chanel went to a fabric store, they were out of stock except for jersey. Jersey was used for underwear only until then. Chanel saw an opportunity, jersey was inexpensive and a lot more comfortable to wear. She started experimenting and got inspiration from fisherman’s sweaters. 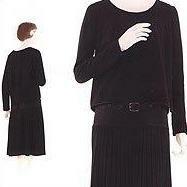 With the use of jersey she found a new way of dressing women which was not excepted immediately by everybody. 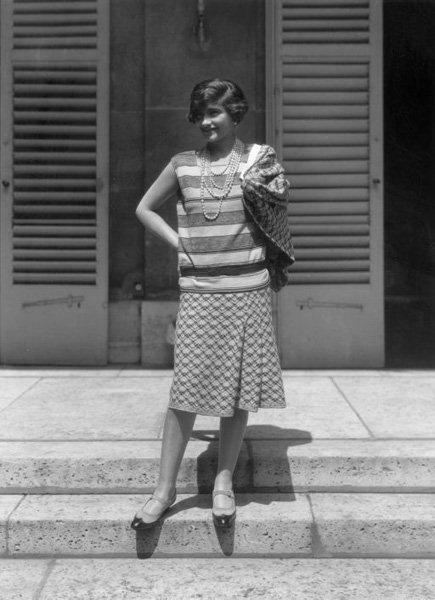 Though some of her clientele loved it the moment they put it on and it became Coco’s first real success in fashion. 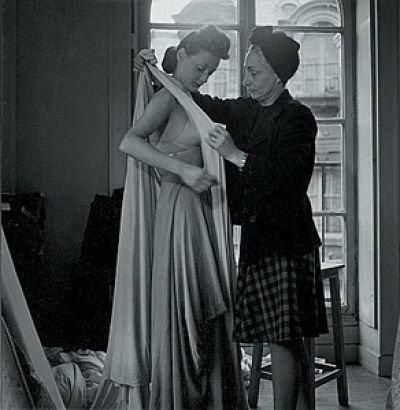 Madame Gres (full name Germaine Emilie Krebs) is considered the maître of couture. 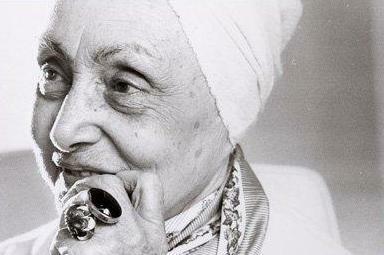 She was formally trained as a sculptress before becoming a couturier. 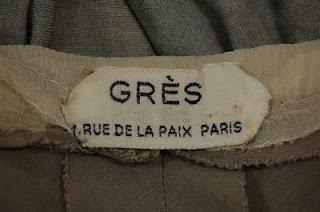 She first opened her fashion house ‘Gres’ in 1942, in Paris. 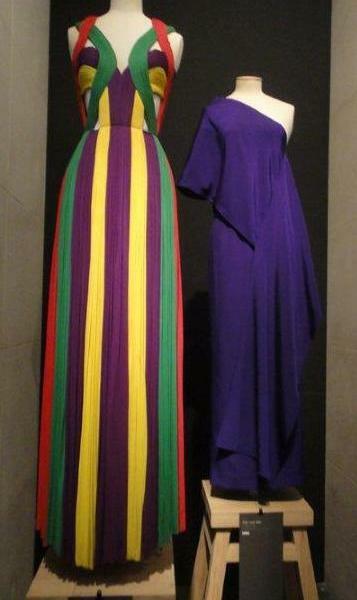 Madame Gres had considerable success and was mostly known for her beautiful gowns, but also for her criticism on ready-to-wear, a lot of the haute couture houses turned to during her time in the fashion business. 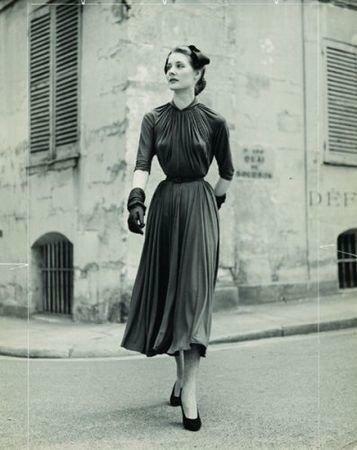 She considered ready-to-wear to be ‘prostitution’. However, in the end she did turn to launching her own ready-to-wear line. 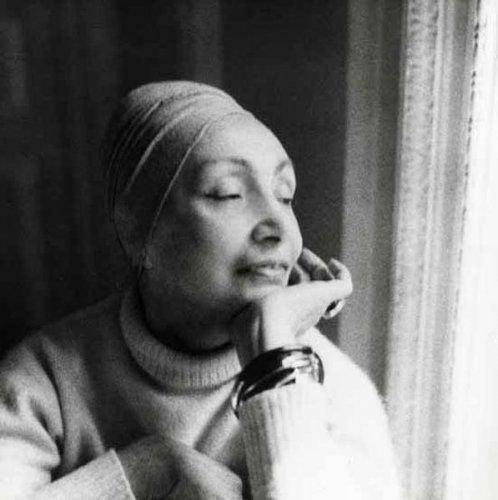 She worked from the 1930s trough to the 80s. 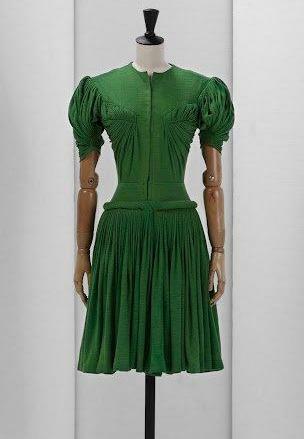 Most of her fabulous gowns were made in jersey. 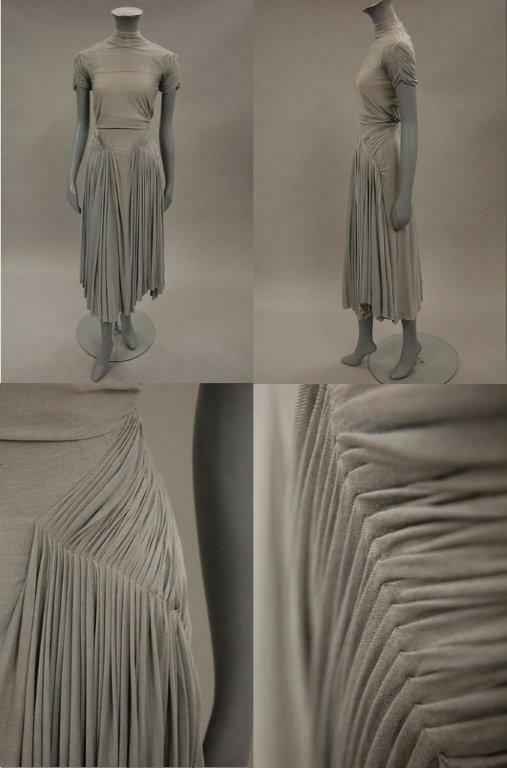 Her sculpture training is easy to recognize in her draping work or call it draping art! 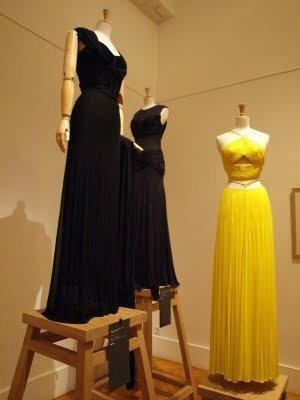 Musée Bourdelle honoured Madame Gres with an exhibition where eighty pieces were presented. 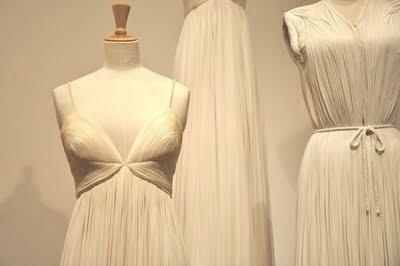 Those from the ‘Alix’ period from 1934, works that were commissioned by Givenchy, as well as hundred sketches and fifty original pictures. I saw to the exhibition last year and was very moved. Not only because I never saw so many pieces of her work in one place, but also by her extreme talent and incredible art in fashion. 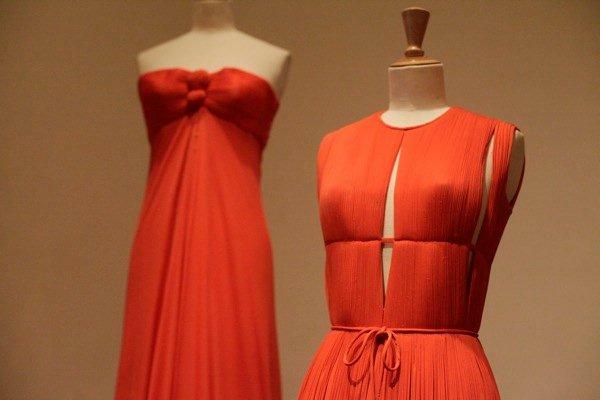 Interesting to notice, the designs by the maître of couture do not seem to be dated at all. Some pieces look so familiar and modern, they could have been designed yesterday. 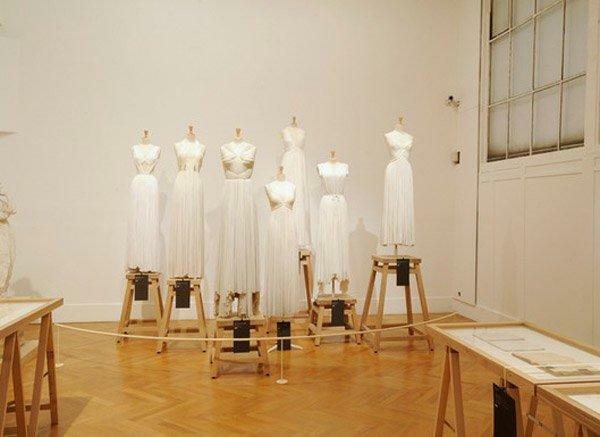 Watch the promo video for the exhibition, it gives a great view on the dresses and the beautiful environment they were exposed in! 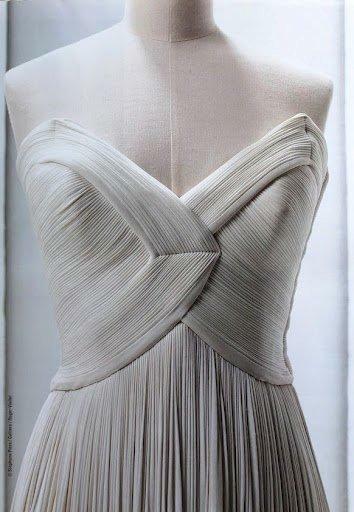 Madame Gres, have to love her! 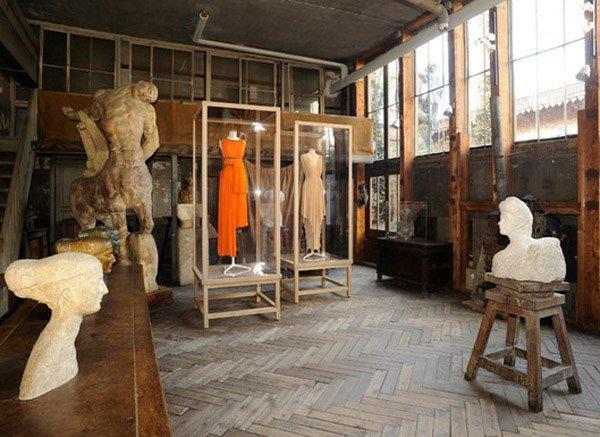 I remember that exposition very well, the clothes so well presented between those great statues in a charming little museum. Exceptional post! Love it. Continue to inspire….